Adrian Allen was born in South Yorkshire, and spent decades in the advanced tools and aerospace industries. As sales director at Sheffield tooling company Technicut, Adrian worked with Professor Keith Ridgway to forge new links between Boeing and the University of Sheffield, culminating in the launch of the AMRC in 2001. 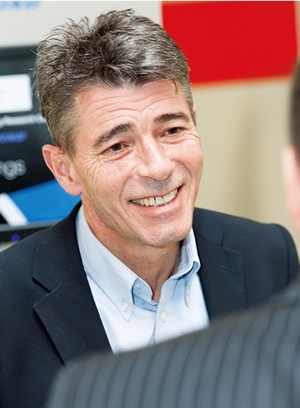 Adrian was awarded an OBE in 2010 for services to industry. What’s on the Manufacturing Horizon? During times of rapid growth, long-term thinking can easily take a back seat to the next urgent task. Many manufacturing leaders lack the ability to see beyond the immediate future to think more clearly about manufacturing a decade from now. So we’re asking the prophets of manufacturing what our industry will look like in 10 years. At noon on Tuesday, September 11, 2018 on the main stage of the grand concourse, join us in envisioning the future.